Zimbabwe will next year hold the Cosafa Castle Cup as well as bid to host junior continental tournaments, Zifa president Phillip Chiyangwa has disclosed. 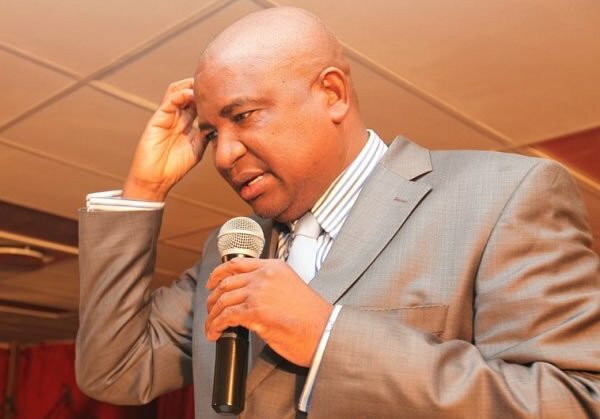 Addressing scores of young entrepreneurs at the Shift Platform in Harare recently, Chiyangwa said the move is aimed at positioning the country on the world football map. “We are the only Southern African country going to the Africa Cup of Nations in Gabon next year and there is so much interest in our game and players. “But to be honest, we are not positioned well on the world map, we don’t have a record of successfully hosting tournaments and that is one area I am determined to succeed in,” he said. Chiyangwa added that the country needs to be realistic in its drive to become a football powerhouse, noting that there are no short cuts to success. “We all want to host the Africa Cup of Nations, we have tried before and have been disappointed. My advice is let’s start taking it step by step. “Why not start by hosting the junior tournaments, the regional tournaments and gain some experience, set a record before going for the big one? “Next year we will be hosting the Cosafa Cup and we want to organise a world class competition, we want to make the world know what we are capable of,” said Chiyangwa. “When I decided to run for Zifa president, some people accused me of being desperate. But one thing I can tell you is that true leaders are fearless. Don’t expect to be different when all you do is think like everybody else. “Football is big business across the world, even next door in South Africa it’s a multi-million dollar industry and our challenge here in Zimbabwe is taking our game to those international levels,” he said.